For this article, I’ll stray from WyEast country a bit, if only to illustrate just why those who love the Oregon landscape ought to be distrustful of the Oregon Department of Transportation (ODOT) when it comes to respecting Oregon’s scenic and cultural legacy. Sadly, the agency simply isn’t up to the job. Case in point: the not-quite-finished Goose Rock Bridge, located on Highway 19 where it crosses the John Day River. The site seems like a no-brainer for what is called “context sensitive design” in engineering parlance. More plainly stated, this means moving away from the 1960s highway builder’s mentality of building over-engineered, one-size-fits-all concrete monoliths that pave over the local character of a place. 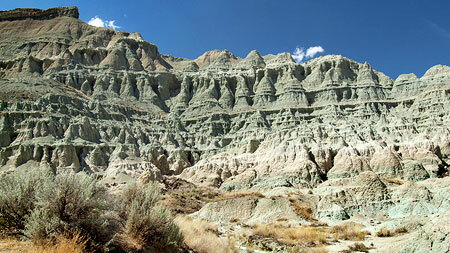 • Located in a National Monument? Check. 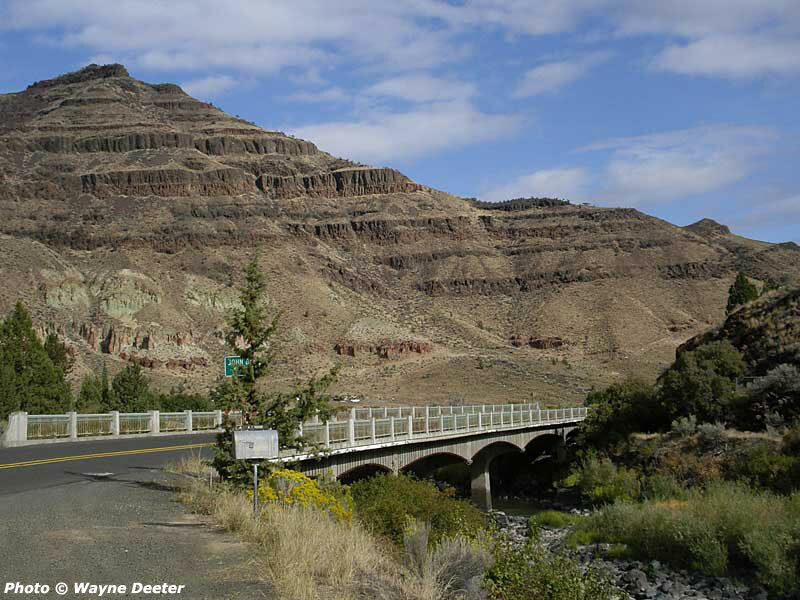 • Crossing the John Day, one of Oregon’s premier scenic rivers? Check. • Located on an Oregon Scenic Byway? Check. • Replacing a historic highway structure? Check. • Minimal traffic volumes? Check. • Likely to serve bicycles and pedestrians? Check. Any of these simple checks should have sent the engineers back to the drawing board. Instead, the public received another ugly, industrial eyesore for the millions in Oregon tax dollars spent on this blunder. So, the damage is done on the John Day River at Goose Rock, and now we’re stuck with a stinker of a bridge for the next several decades: the real question is whether ODOT can stop building goose eggs like this? The answer is yes… maybe. What’s wrong with the design? 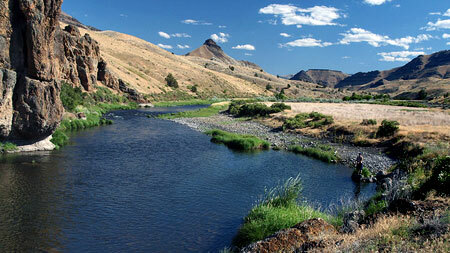 Respect the location: The project is in a National Monument, along an Oregon Scenic Byway and crosses a famed, wildly popular whitewater river. As such, the bridge should have embraced National Park Service (NPS) design elements. This is a no-brainer, and there is plenty of guidance to help ODOT with the aesthetic features, had anyone thought to look. 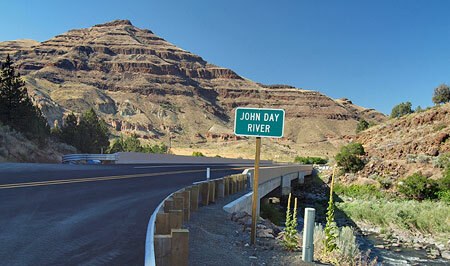 This simple step could have made the new bridge an asset to the John Day National Monument, not an eyesore. Respect the history: The new structure replaces a bridge constructed in 1941 that may have been structurally obsolete, but had plenty of charm and historic significance to complement the setting. The original structure featured graceful, fluted concrete posts anchoring ornate, painted steel balustrades and railings. The under structure was a simple pier design, but included a graceful apron of decorative concrete arches. Had context-sensitive design been a consideration in this project, these historic details would have been a major element in the design of the new bridge. Instead, the character of the old bridge is now but a memory. Design for the users: The Goose Rock Bridge carries an tiny amount of traffic by urban standards — only about 300 vehicles per day, which is the equivalent of a typical suburban cul-de-sac serving just 30 homes. Just one lane of the Banfield Freeway carries this much traffic every ten minutes. The new bridge: freeway ramp to… nowhere? While the bridge does carry trucks, the massive design of the new structure is still wildly over-built, with freeway-scale Jersey barricades for railings that make the new bridge hostile to the cyclists, hikers and fishermen who cross this bridge while visiting the National Monument and the John Day River. Even passenger cars are punished by the new design, with the absurd concrete freeway barricades blocking views of the river for passing motorists. Would you walk (or pedal) across this bridge? Instead of the meager striped shoulder that supposedly serves bicycles and pedestrian, the design should have included a segregated sidewalk. This would have been a nice addition for the walkers, fishermen and less confident cyclists crossing the structure, and would have invited stopping on the bridge to admire the view — something no user would be safe doing on the new structure. Where did this simple project to replace the old bridge get off track? That’s hard to know (assuming it was ever on track). The project is one of hundreds funded through a $2 billion bridge replacement program known as the Oregon Transportation Investment Act (OTIA). Republicans who controlled the Oregon legislature at the time OTIA was passed into law insisted that the design work for projects be sent off to private consulting firms, in this case, two firms — OTAK and Wildish Standard Paving — where the design decisions were likely made, before receiving a final approval from ODOT. 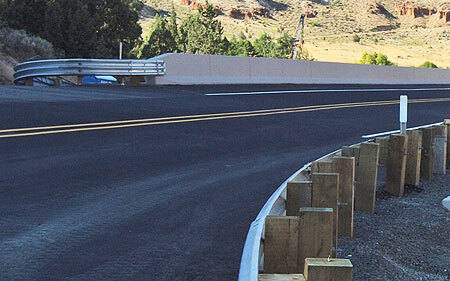 Otak is the lead consulting engineer for Wildish Standard Paving on this $40 million design-build project along US395 in Eastern Oregon. 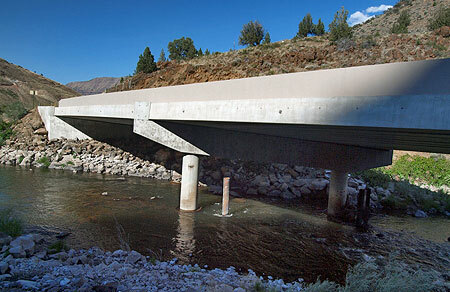 Spanning nearly half the state, this project includes replacement of seven bridges along a sensitive waterway and wild and scenic corridor. Nice words, but there is nothing in the design that suggests OTAK ever took the “sensitive waterway” and “wild and scenic corridor” into consideration when building the new bridge. It’s a firm that has done better work, elsewhere, and should have known better in this case, too. Designed for 30,000 vehicles per day… but carrying only 300. Cyclists and pedestrians are on their own. Another problem was probably the way in which projects were funded. Many of the bridge projects funded through OTIA followed ODOT’s “design-build” process, which combines the design, engineering and construction into a single contract. 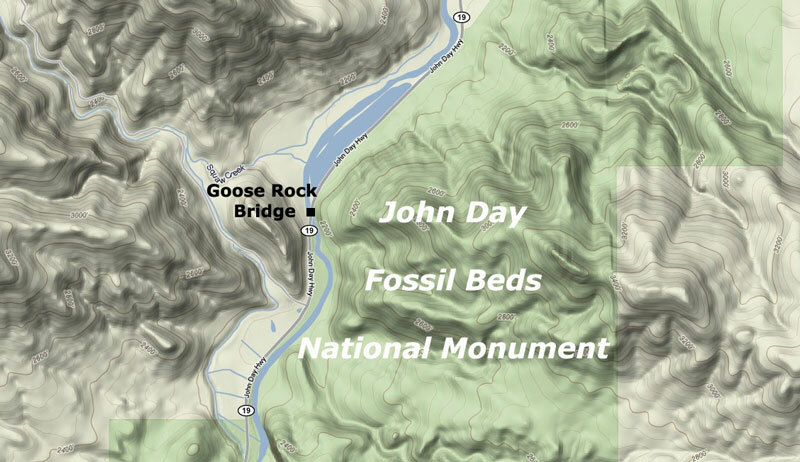 In this case, ODOT “bundled” seven bridges scattered across the John Day country into a single ODOT contract, which unfortunately means more blunders like the Goose Rock Bridge can be expected (if they haven’t already been built). It also means that meaningful public involvement is a remote possibility, since the whole point is to speed up project delivery and cut costs wherever possible. When will the Goose Eggs stop? It will take a lot to pull ODOT onto a more enlightened path. This is evidenced by the $120 million the agency has already spent to devolve the design for the Columbia River Crossing to the worst conceivable option, as well as dozens of smaller eyesores built under the OTIA bridge program. One possibility for the future is to simply remove the aesthetic design elements of project planning from the grasp of ODOT engineers, and handing this work over to architects or volunteer design panels, instead. Another is to establish a design auditor within the agency with the staffing and authority to “stop the assembly line” before construction money flows to badly designed projects. Yet another option is to simply recruit and employ engineers versed in the basics of context sensitive design, and demand the same of the relatively short list of private contractors that ODOT keeps on retainer. In the long term, this is the best option, but would first take recognition by ODOT that a problem exists. Clearly, the agency isn’t there, yet, as evidenced by the Goose Rock Bridge travesty. There are a few bright spots at ODOT, however, including several in WyEast country. These include the new Government Camp bridge over US 26 and several recent bridge replacements along I-84 in the Columbia River Gorge Scenic Area. In both cases, consistent pressure from local advocates was part of the puzzle that led to better design. 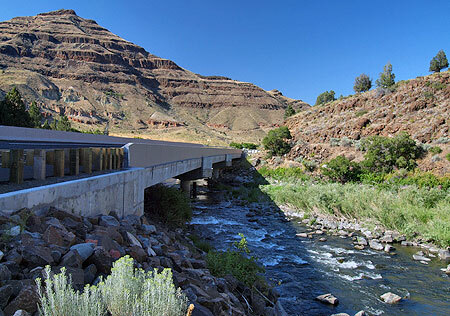 In the case of the Gorge, ODOT has adopted a comprehensive architectural guidance for engineers on all aspects of highway design has been an invaluable tool, and could be applied statewide in scenic areas, like the John Day National Monument. In the meantime, hold your breath. It’s nearly impossible to spot a bad project in the byzantine ODOT design process before the construction contracts are let, and another concrete eyesore appears on the landscape. We can only hope that ODOT projects currently lined up for US 26 and OR 35 along the Mount Hood Loop draw from the recent successes in the area, and not the old freeway engineer mindset that produced the Goose Rock Bridge goose egg.